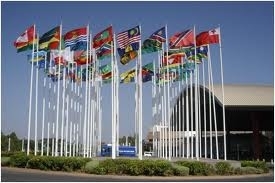 During the 66th World Health Assembly, Health Ministers of Commonwealth member states adopted a legislative framework to empower, protect and care for persons with mental disorders. 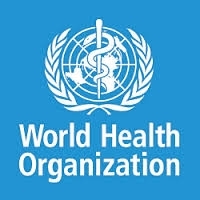 The General Assembly of the World Health Organization has passed the Mental Health Action Plan 2013-2020. Today is a good day for global and local mental health! 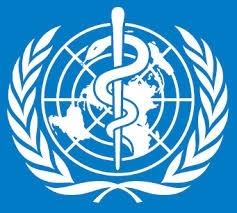 The draft mental health action plan will be discussed at the Sixty-sixth session of the World Health Assembly which will take place in Geneva from 20 to 28 May 2013. This will be a key event in global efforts to focus attention on mental health. 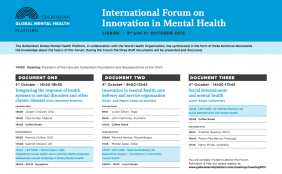 The International Forum on Innovation in Mental Health, organized by the Gulbenkian Global Mental Health Platform, will take place on the 3rd and 4th October, in Lisbon. The third Movement for Global Mental Health Summit will be held on 21-22 August 2013 in Bangkok, Thailand, as part of the World Congress of Asian Psychiatry.